It is a week-long winter holiday for me and I am spending time with my little one and obviously cooking different winter delicacies these days apart from my baking venture. The dish that I am going to elaborate today is like a comforting winter delicacy to mine! 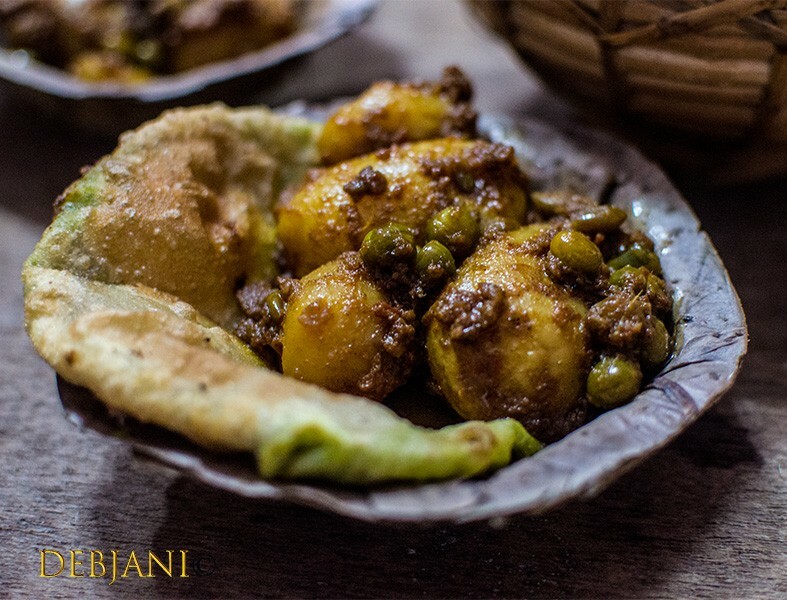 A spiced Potato based Curry which is nothing but Niramish Natun Aloor Dum; a signature Bengali dish. I was remembering Dida (my grannie) while making Natun Aloor Dum day before yesterday badly! What an amazing cook she was! I follow her never failed recipe to make this every time, especially during the winter. There are many Bengali dishes for which I follow her recipe; to mention Bhaja Moog er Daal, Dhokar Dalna etc. 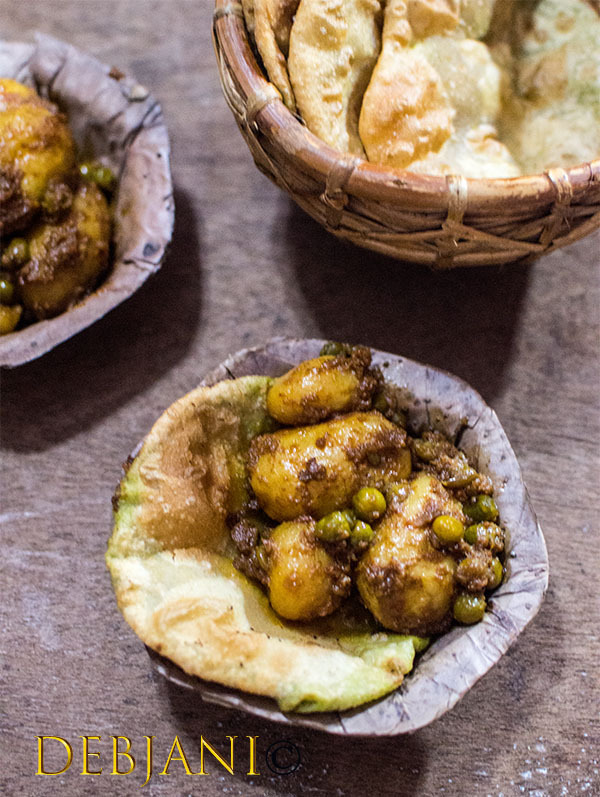 Natun Aloo or New Potato is nothing but Baby Potatoes. We Bongs call it Natun Aloo in winter given this is the season for getting Potatoes just after harvesting and we denote is “Natun” or New. 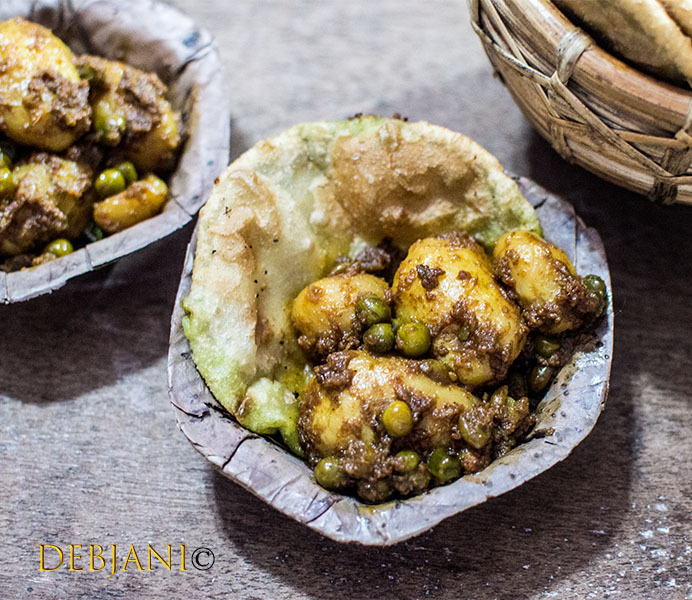 Dida used to bring a bag full of “Natun Aloo” from “Mamar Barir Desh (my mom’s native village) during every winter after harvesting and her place was literally loaded with the cute small potatoes. She was an amazing cook and was famous for her no onion no garlic cooking. Having perfectly cooked Natun Aloor Dum which was flavored with the proper blend of spices was a pleasure. I used to see her cooking this dish for us during our visit to her place on winter holidays. She was not fond of using powdered spices and her cooking was always supported by making a paste of whole spices using a Shil Nora (Shil batta). Though I am also available with a Shil Nora. However, I didn’t opt for that to make the paste of spices instead I used a trick that I learned from my Mother to make the paste. My mother always mixes spice powders (Cumin Powder, Coriander Powder, Turmeric Powder, Red Chili Powder, Garam Masala Powder, Salt, and Sugar) with little mustard oil and water to make a thick paste. She uses that to cook Bengali Style Niramish Aloor Dum or Natun Aloor Dum as well. This recipe never fails and this is what I made frequently during the winter. 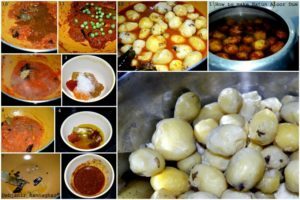 In case Natun Aloo or Baby Potato is not available normal Potato can be used to make this no onion no garlic Bengali Style Dum Aloo. Whole Cumin Seed: ½ Tsp. Make a paste of the tomatoes. Wash Baby Potatoes or Natun Aloo thoroughly under running running water 2-3 times. Pressure Cook Baby Potatoes with the skin on with Salt in medium flame with the whistle on. Switch the flame off after three whistles comes from the cooker and open the cooker when the pressure drops completely. Now discard the water and remove the skin from each potato. Using a fork pierce each of the potatoes. Now take Cumin Powder, Coriander Powder, Turmeric Powder, Red Chili Powder, Garam Masala Powder, Salt and Sugar in a bowl and add Mustard oil and using a spoon mix the spices to make a thick paste. If required add 1 Tsp. water to the spice mix. Heat remaining oil in a wok and temper the oil with Dried Red Chili, Bay Leaf, Whole Cinnamon Stick, Green Cardamom and Whole Cumin Seed and when sprouting started to mix asafoetida with 1 Tsp. of water and add to the tempering and mix properly. Now add Tomato paste to the tempering and cook in medium flame until tomatoes cooked properly and leave the edges of the wok. Add Ginger paste and cook for one more minute. Now add previously prepared “Spice Paste” to the mixture and start cooking on low flame until oil comes from the mixture. Add a handful of green peas to the mixture and mix properly. At this stage add 3 cups of water to the mixture and mix thoroughly using a spatula. Check and adjust salt, sugar, and chili in this stage as per your taste if required. Now add boiled potatoes cover the pan with a lid and cook on medium flame for 8-10 minutes or till water dried completely. Add some Garam Masala Powder and Ghee and give Natun Aloor Dum a mix and switch the flame off. Serve hot Natun Aloor Dum with Karaisutir Kachuri or Luchi or Roti or serve it as it is with a cup of Tea. If Baby Potato or Natun Aloo not available use Normal Potatoes to make this dish. Cut Potatoes into halves and make the Dum Aloo. If you like the taste of Cilantro add few chunks of it to give added flavor to the dish. 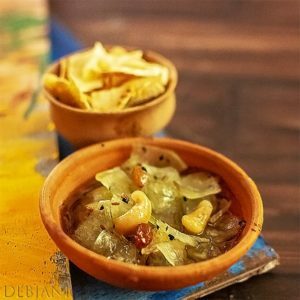 You can try the Chanar Dalna, Dhokar Dalna or Nirammish Ghughni from my blog which are typical Bengali No Onion no garlic dishes.